Religious freedom experts and an overseer of 4,000 churches in India reveal how attacks on religious minorities are rising in the world’s largest democratic state. 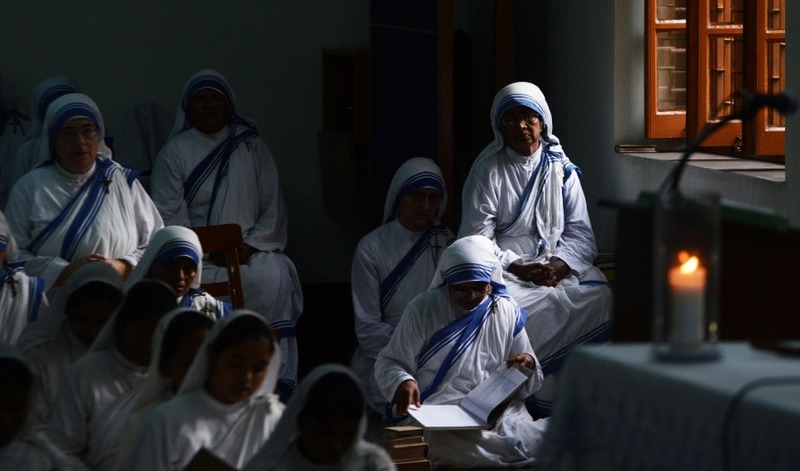 In this Aug. 26, 2017, file photo, Indian nuns from the Catholic Order of the Missionaries of Charity take part in a mass to commemorate the 107th anniversary of the birth of Mother Teresa at the Indian Missionaries of Charity house in Kolkata. 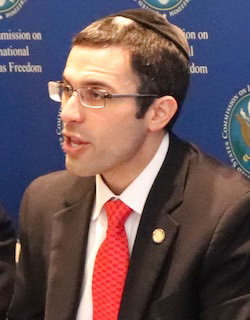 On Tuesday, the U.S. Commission on International Religious Freedom (USCIRF) called on the Trump Administration to designate 16 nations as “countries of particular concern” due to violations of their citizens’ rights. The Federation of Indian American Christian Organizations sent the letter. Their website claims certain Indian political parties “are engaged in vicious and naked aggression against Christians in every corner of the country.” Several sources echo concerns about increasing mob violence against religious minorities. 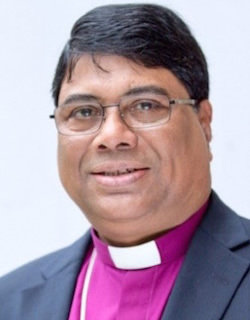 Bishop Joseph D’Souza oversees more than 4,000 Christian congregations through the Good Shepherd Church of India network. In an interview, he notes their work of providing local aid and spiritual support has recently been impeded. Leading voices reveal persecution in India is multifaceted. Along with rising violence, an emerging high-tech national system presents unique risks. A nation of over 1.3 billion people, India is currently 80 percent Hindu and 14 percent Muslim. Christianity has grown to nearly five percent in recent years, according to nonprofit group Open Doors which tracks religious persecution. “Today, we are faced with radicalized Hindu groups,” said D’Souza. “At the local level, they have gone berserk. They do not hesitate to attack Christians, Dalits, Muslims, and even liberal Hindu intellectuals.” In India’s caste system, Dalits rank the lowest and are regarded as “untouchable.” Discrimination is officially outlawed yet continues in practice. In January, Open Doors designated India with its most severe rating. Moderate Hindu groups also recognize the rising threat to religious freedom. Amrita Hari serves with the International Society for Krishna Consciousness. A branch of Hinduism, the Hare Krishna movement has temples across India. Devout believers of various faiths noted religious liberty can be difficult to grasp. 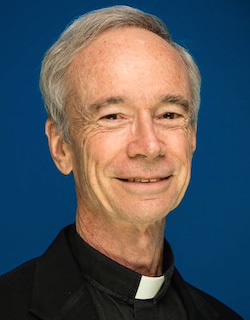 Christians must learn to see the world broadly, says USCIRF commissioner Father Tom Reese. “Sadly, Christians have contributed to some of the hostilities that are against us,” continues D’Souza. “I respect all religions in India and have no animosity against any faith.” Despite their hostile actions, he includes Hinduism. 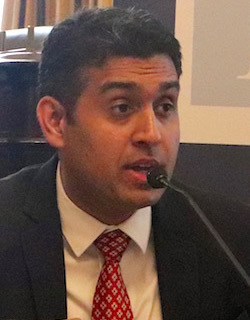 Also speaking Tuesday on Capitol Hill, an Indian human rights attorney addressed this issue. Balakrishnan Baskaran, legal consultant for Alliance Defending Freedom (ADF), noted eight states in India have recently passed anti-conversion laws. “As the largest democracy in the world, India is setting a bad example on these issues,” stated Baskaran. Baskaran also raises questions about an emerging issue — the Aadhaar digital identity system established by the Indian government. Indian residents provide their fingerprints, iris scan and other information to receive an Aadhaar number. This secure government system is then linked to a person’s bank account, cell phone signal, travel and other data. In his role with ADF, he currently represents a client whose case is being heard by the Indian Supreme Court. The Indian man living in Maharashtra state did not want to apply to Aadhaar for reasons of conscience. During debate on the Aadhaar bill in 2016, a member of the minority party in the Indian Parliament stated his fears that the program could be “used for mass surveillance and ethnic cleansing.” However, the bill was enacted in March 2016. Officials recently announced that more than one billion Indians are now on the biometric ID system. Several experts note how the status of religious freedom is often an indicator of overall civil liberties. Many observe a downward trend in India’s freedoms since 2014. The BBC has published a series of articles on Aadhaar. In an op-ed, one technology lawyer revealed that “comprehensive surveillance profiles of citizens are already being offered by companies.” The ADF attorney shares her concerns. Several experts note how the status of religious freedom is often an indicator of overall civil liberties. Many observe a downward trend in India’s freedoms since 2014, when Prime Minister Narendra Modi began his term in office. As to Bishop D’Souza, his faith-based network continues to help rescue women out of human trafficking and provide for local communities. These churches in 25 Indian states are uncertain how long they’ll be free to practice their faith. Sounds like an Indian problem to me. India is only the ‘world’s largest democracy’ in the sense that it is the most over populated and backward. Think I lie, just visit it. There are very, very few decent countries in our world.America[slipping into Marxism], Australia, New Zealand, Canada[slipping into Islam] and n o where else. The rest are all hellholes run by tyrants and evil people. Only in america where capitalism and Christianity have flourished have the people followed the Founders and made a success. Marxism, Communism, Fascism, Socialism, Nazism, Islam all have taken their toll on the people and ruined the lives of 6.5 billion people.Look around their are none in Africa, none south of the Rio Grande river in America all the way to Antarctic, Philippines, Malaysia, Europe, Scandinavia all dying because of Marxism step by step. Marxism/Nazism is taught in every American University run by Teacher’s unions and fueled by billionaires.The next Democrat who reaches power will implement Marxism/Nazism “and do it correctly” is the mantra used in colleges.By any name Capitalism has done the best the rest all all hell on earth.